You know you love me. Gossip Girl.” We are sure you’ve heard that line before! What about the theme song to Friends? Pretty much imbedded in your memory? … We thought so! Television has infiltrated the hearts and homes of masses across the globe, and even for those who wouldn’t consider themselves fans, the popularity of TV series is too hard to ignore. According to a survey done by the UK’s Daily Mail, an estimated 4.6 million UK homeowners are so obsessed with interiors seen in sitcoms and dramas that they’ve spent thousands of pounds filling their own homes with identical furniture and interior design features. 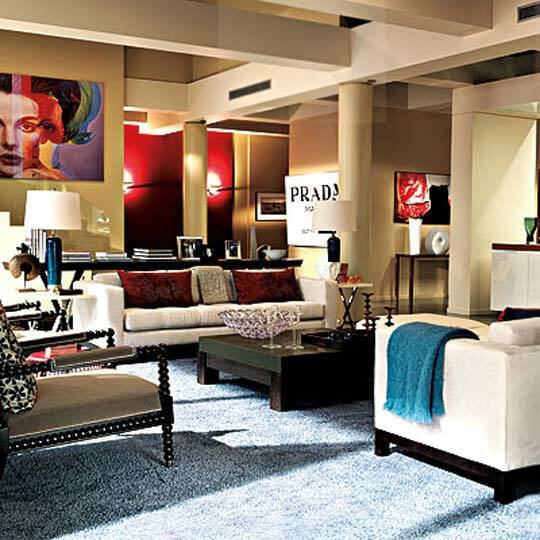 The Van Der Woodsen Living Room – look at all the art! 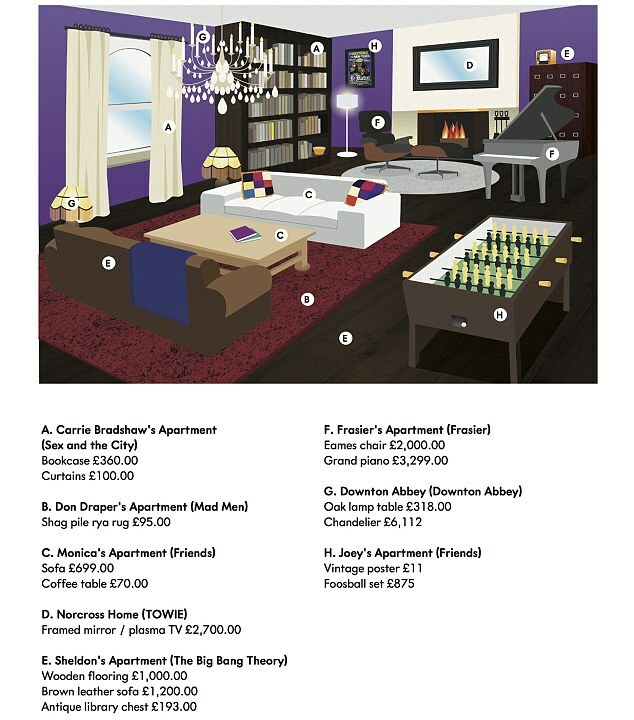 If you not into buying the actual furniture or artworks from your favourite show, then you can buy the plan and have it forever framed on your wall! 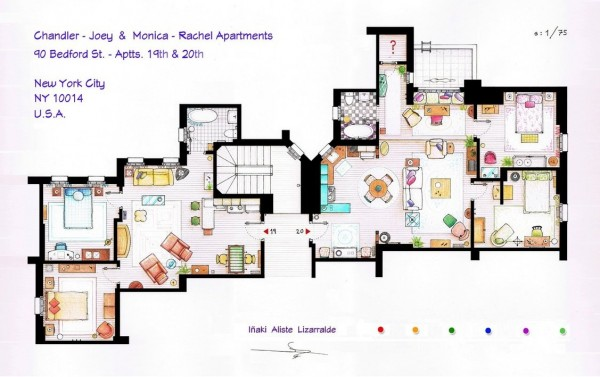 A Spanish interior designer has become famous for drawing up floor plans of all the popular TV shows, and sells them online. (http://nikneuk.deviantart.com/art/FRIENDS-Apartments-Floorplan-322450383) So even tho shows like Friends or Sienfeld are no longer, they can be immortalised, and in this way, they serve as a link to the past… a memory. It’s not just living rooms that are inspirational! 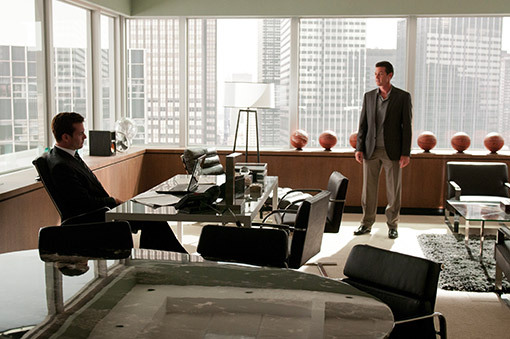 What about Harvey ‘s masculine, man-pad, contemporary office in Suits? 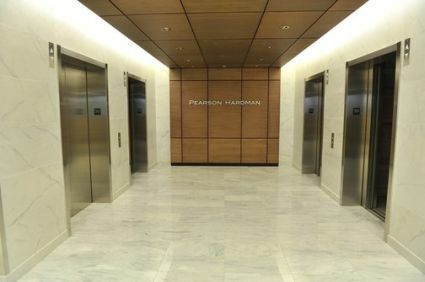 The modern-classic furniture, contemporary styling and open plan office layout of Pearson Hardman makes for a very on-trend office space. The warm timbers and luxurious marble in the foyer are high up on our office style radar. 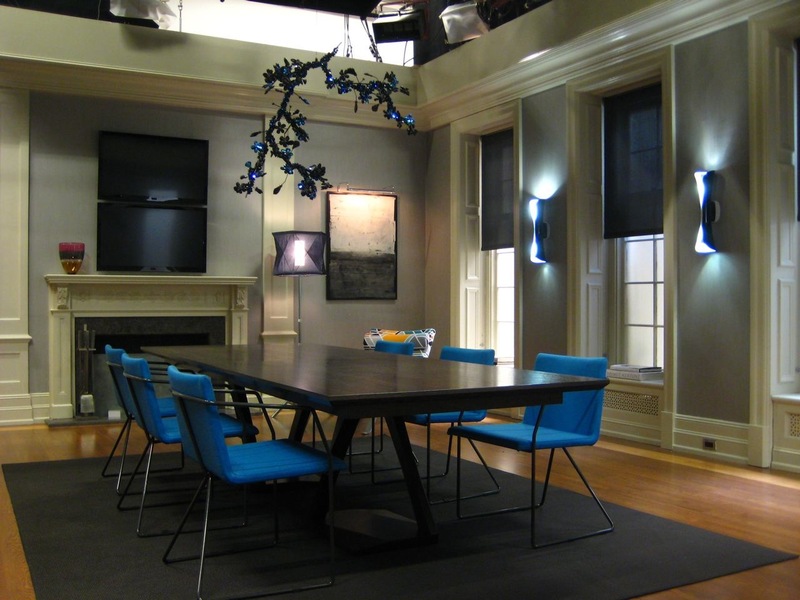 The Spectator’s office interior from Gossip Girl is another office interior that is full of designer furniture, bold colours and contemporary styling. 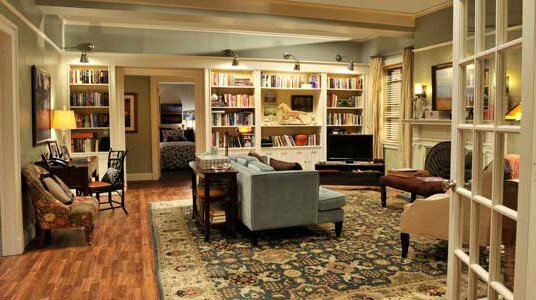 Given how much time we spend watching TV shows it’s perhaps not surprising that those same spaces leave an undeniable impression on us! 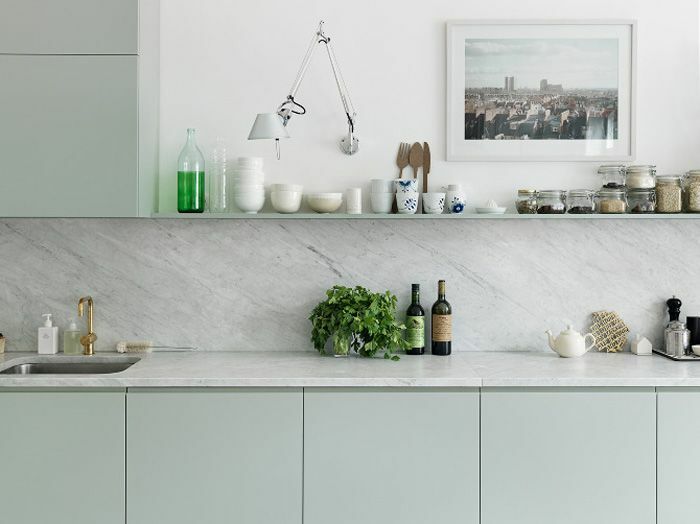 It doesn’t matter if your style is contemporary, country or classical; your kitchen big or small, these pointers can be integrated into any space. Rugs for us are such an important decorating tool. We sound like a tape stuck on repeat, but seriously, if you put them in the kitchen it takes the space to new heights giving it such a luxurious vibe. 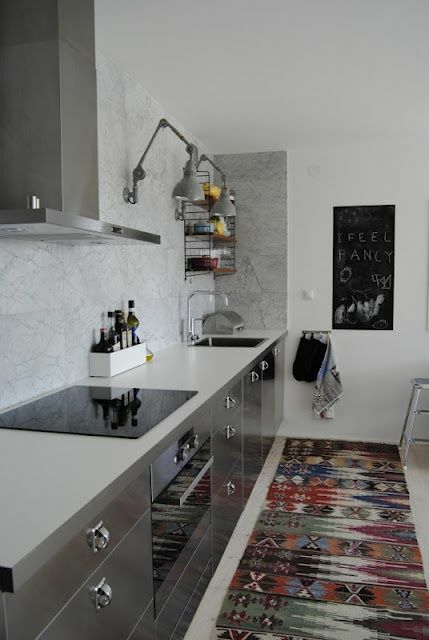 Kitchens often times feel super utilitarian and rugs are the quickest way counteract that. Have some fun with the wall space by using some wallpaper, black board paint or a textured wall finish. There is no need to have units floor to ceiling on every wall space, rather keep some “free areas” to play. Pattern and texture on the wall will give the kitchen an instant personality, whether on a single feature wall or the whole space…. 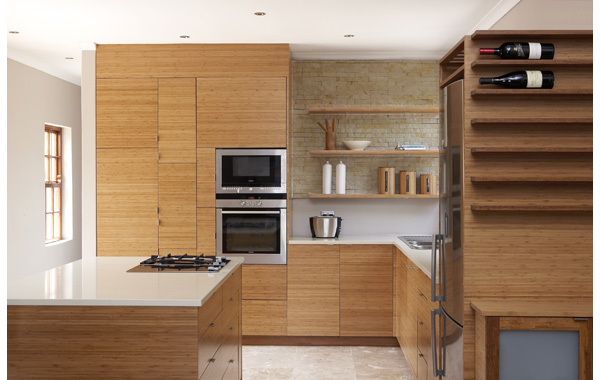 There is nothing better than open plan storage in a kitchen (any room for that matter!) 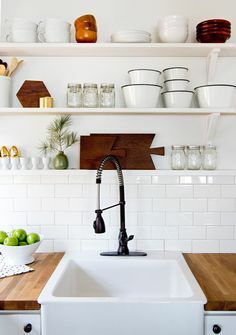 Open shelving is always great since it immediately adds a bit of personality. (TRADE TIP: if you paint the shelves the same colour as the walls then anything you put on them will pop and look way more fabulous than it really is!) So add shelves if you can! Failing that crates, baskets, trolleys… whatever you have to store items visibly! 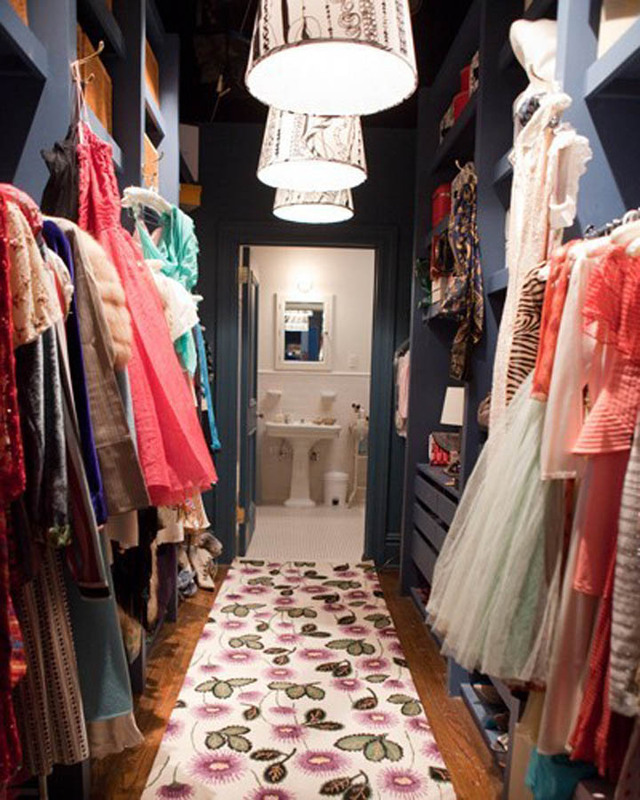 It will help up the ante in the style department big time, and again, add some personality to the space. open shelving. open shelving. open shelving! 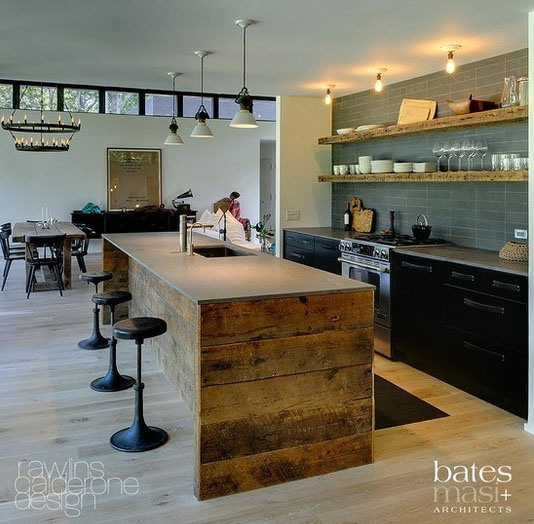 Most kitchens today have a breakfast bar or some form of dining surface/seating area. A great way boost the style ratings is to play around with the chairs. Source something interesting that will contrast (key word) with the rest the of the kitchen. To illustrate, if you have very slick units go for something natural. 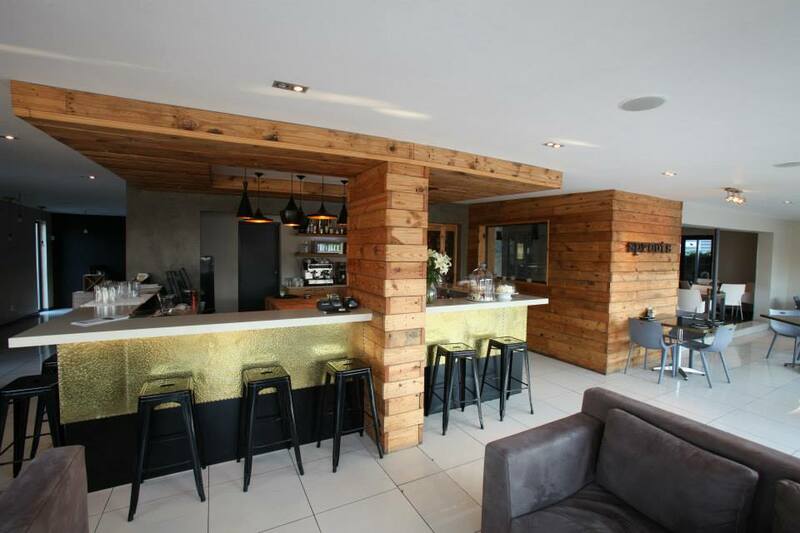 If you have timber units or a very natural scheme, then go for something very modern and slick. Mix and match, be bold. Here you have a real opportunity to add some interest to the space. 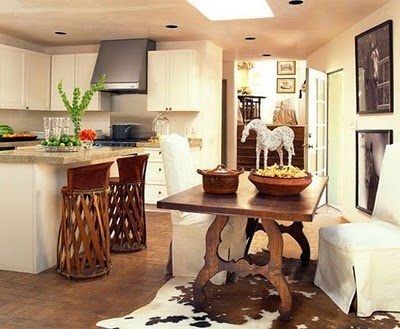 wow stools adding interest to the space! 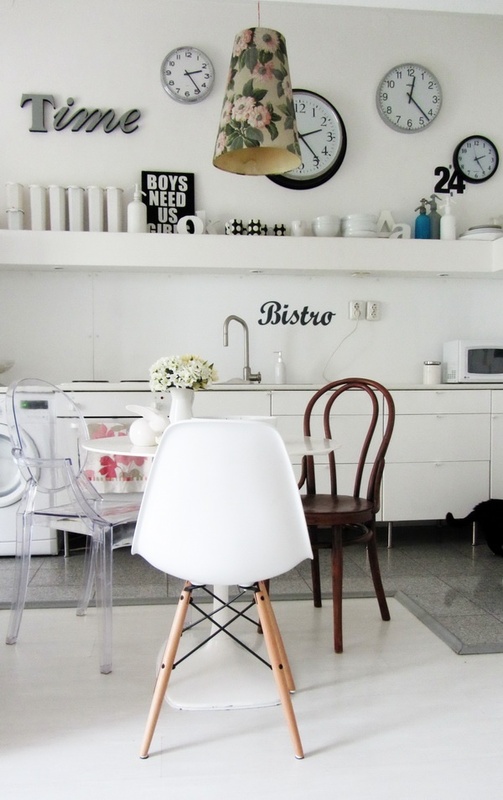 Lastly, artwork is another instant way of transforming your ‘kitchen’ into a ‘living’ space. Art is so subjective, so whatever your preference of media or subject matter is, you can’t go wrong here. The point is that artwork adds another dimension to the space and makes it so much more personal and ‘lived in’. Its all about the unexpected and little surprises that make an interior interesting and a kitchen should be no different! Some more inspiring images below…. 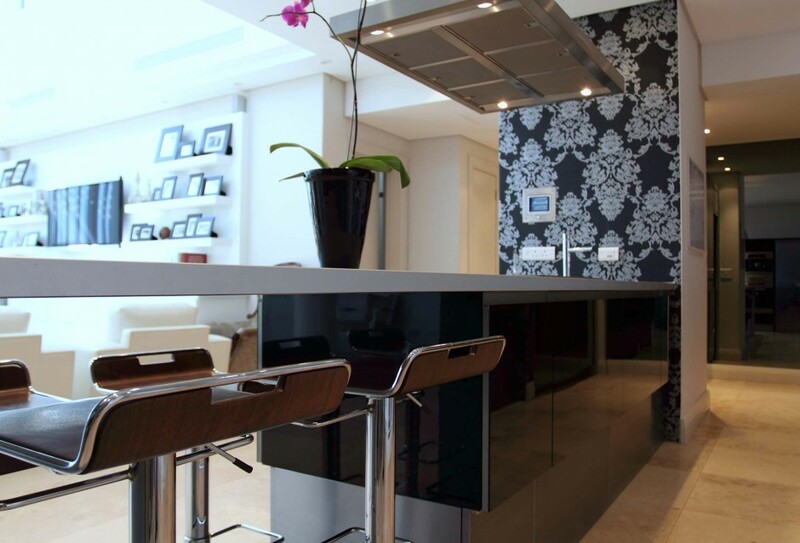 Give us a shout if you need some help transforming your kitchen. 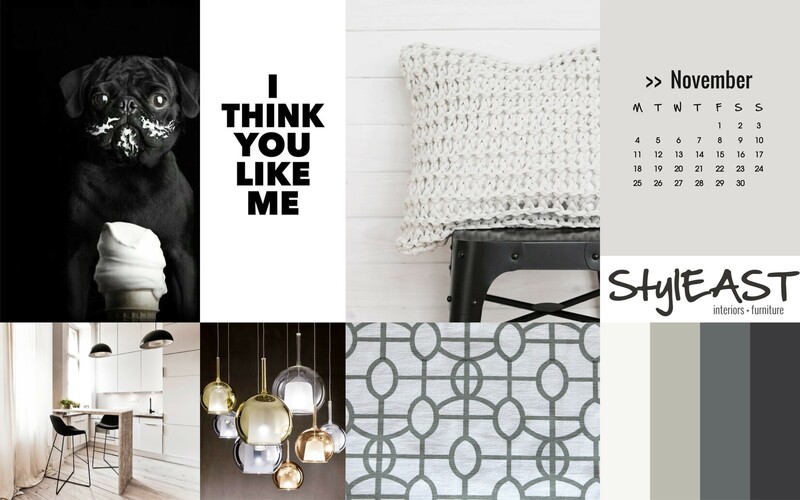 Whether just some advice on getting a new rug or fresh coat of paint, or else a new design, transforming the whole space – StylEAST can help you~! 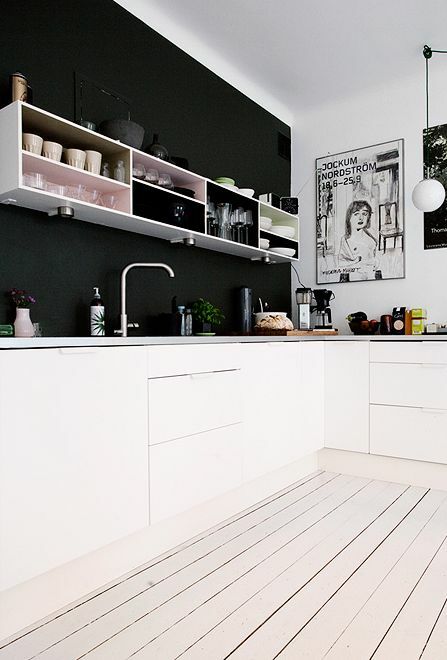 Over the next 2 weeks we are going to be doing a feature on the hub-of-the-home: Kitchens! There is just so much to talk about, and so many pretty pictures to show, that we couldn’t possibly do it all in one post! 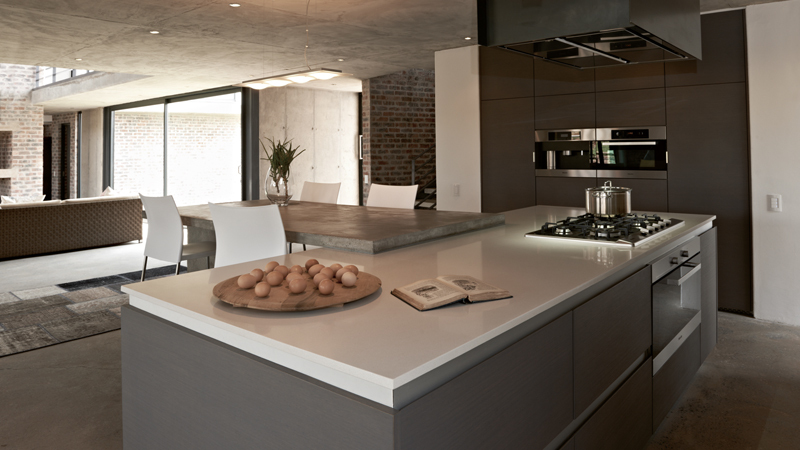 This week we wanted to start with current trends in kitchen design. Whilst we dislike the word ”trend” immensely, it best describes the way in which kitchens in 2013/2014 (Eeek! New Year on the horizon!) are moving towards! 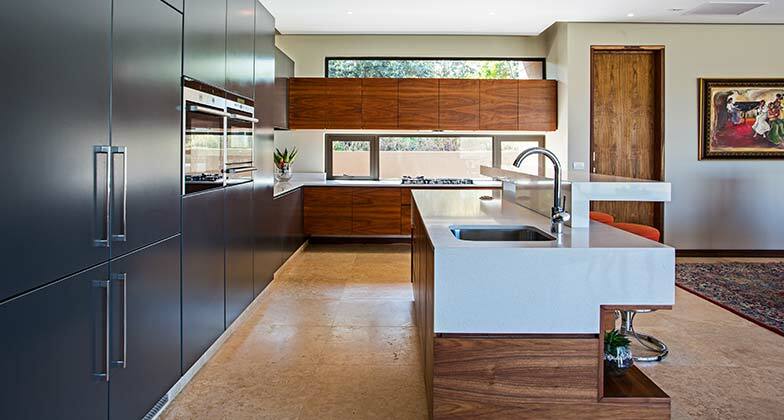 Simplified lines and big, open spaces are still set to dominate kitchen design, this is one “trend” that is here to stay for a while! Gone are the days where, as in the times of Downton Abbey, servants ran between dining room and kitchen, assisting their lords and ladies with apparently effortless dinner parties. These days hosts need to multitask gracefully, which means that separation from guests is a no-no. 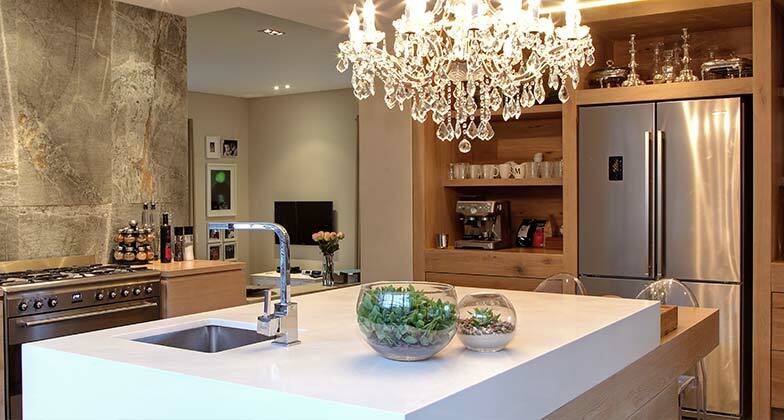 Preparing food and refreshments at the kitchen island with your mates helping out or just hanging out sipping on a crisp Chenin Blanc is a win for the modern hostess. Moving towards other appliances, there is a big focus on integrating (hiding) more noisy appliances behind cabinet doors. This is fantastic for dishwashers and even washing machines and tumble dryers. If you not into showing off your fridge, integrated fridges are also worth exploring. While kitchen lighting used to be a bit of an afterthought, carefully planned lighting is holding its own as a kitchen design feature. We touched on this back in our Designing with Pendants post. 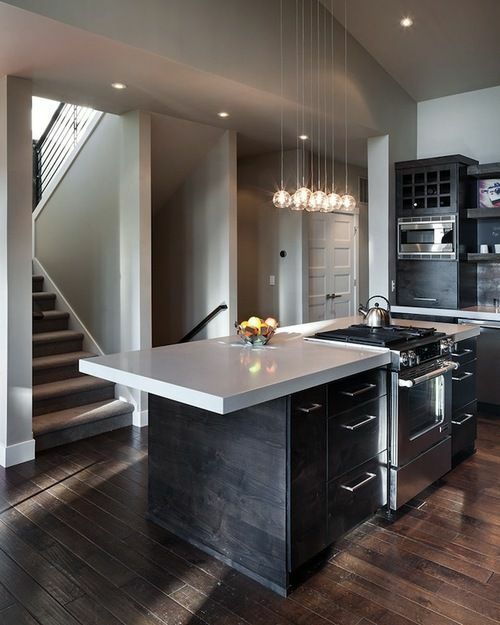 Any kitchen with an island looks amazing with a central pendant or row of them because it draws attention to the whole area. 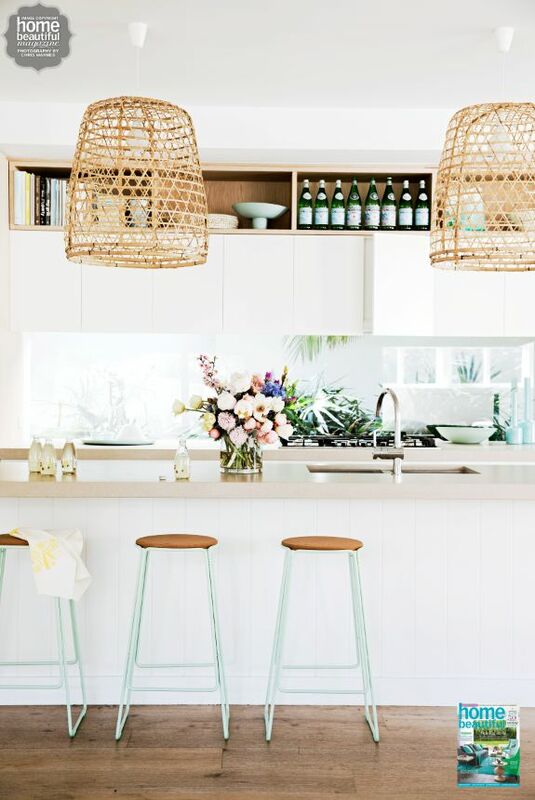 If you fancy giving your kitchen a quick update then do nothing more than adding a pendant, you will be amazed at how transformative it is. really pops! “Green” is not just a buzz word but becoming a way of life for most and will continue to grow so.There are many ways to embrace this conciseness in the kitchen by not only the materials you use, but by using energy efficient appliances and recycling. 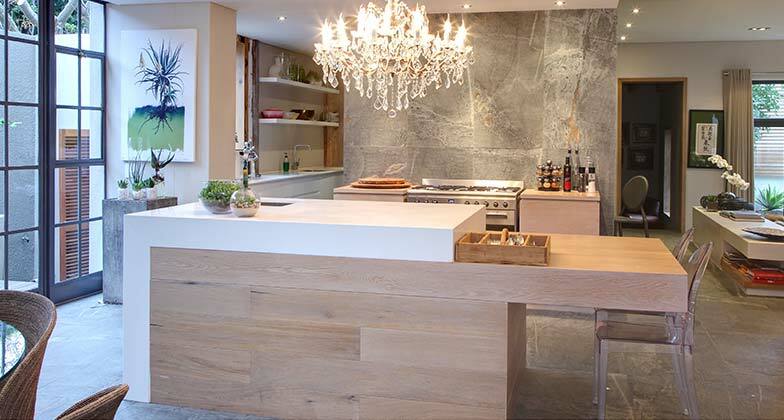 Natural and sustainable materials such as Bamboo, raw timbers and stone cladding not only add a whole different dimension to the space but are also “Green.” Cesaerstone is a great worktop to use and it also boosts an energy efficient grading. Explore options with your waste bins to recycle. 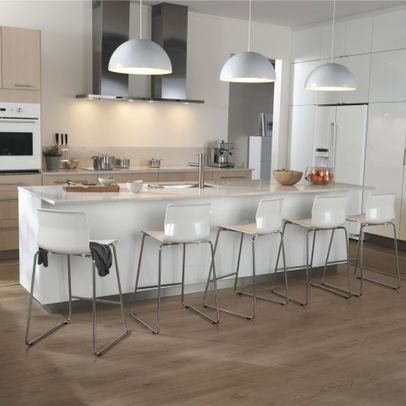 Blum has a whole range of different sizes and configurations to choose. As colour trends go, it’s no longer creams, tans, or yellow undertones, but rather a move towards more neutral, monochromatic colours, for example greys & off-whites. These colours are harmoniously combined with timbers that have a more ‘weathered’ feel to them. There is also a movement towards staining natural timbers to create a smoky patina to the grain (Bye-Bye Maple and Cherrywood!). 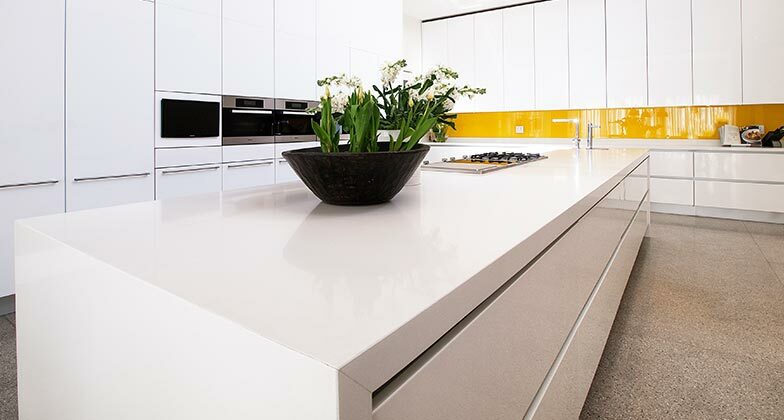 To counteract the monotone, colour is brought into the scheme in small sharp amounts such as a glass splashback; a featured wall; or just in some decorative items in and around the kitchen. 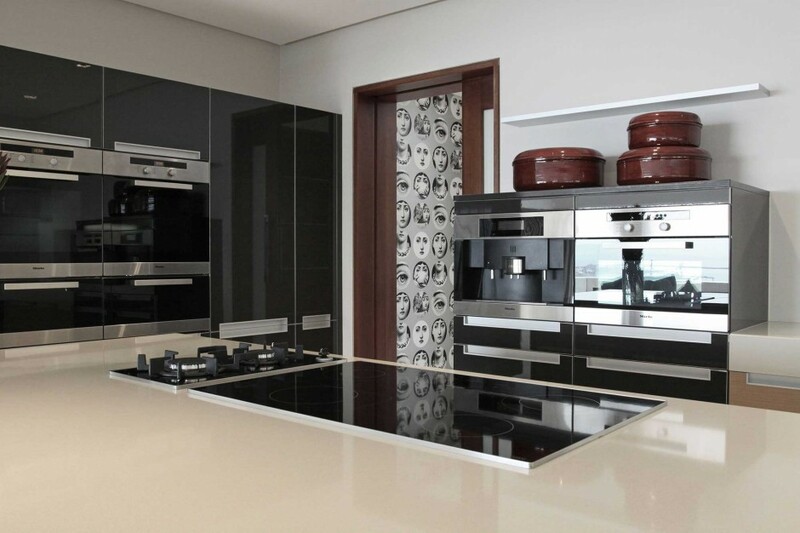 Backsplashes, particularly behind the hob, are becoming a hot trend for 2013 going into next year. 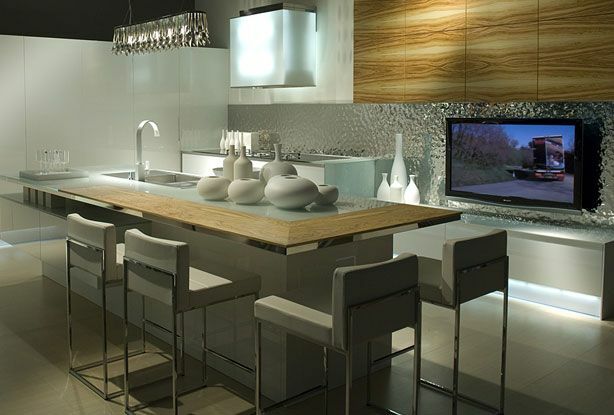 Back-painted glass is great for adding a splash of colour to a modern kitchen, and will reflect soft lighting, creatinga bit of atmosphere in the kitchen. Another plus is that it is super easy to clean as there are no grout lines in between (as with mosaic) and the look is very seamless. 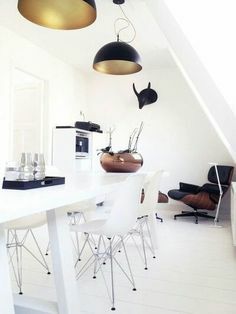 Interiorzine.com says the emphasis on living in your kitchen will be expressed by the continuing trend of large kitchen islands replacing dining room tables. 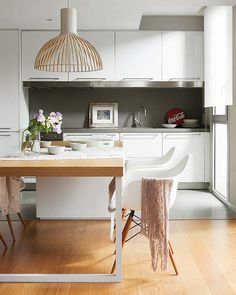 This is a result of smaller homes with smaller living spaces, yet also suggests a shift of focus from the dining room to the kitchen as families and friends spend more time at home for dinner and drinks. It is important that the kitchen ‘fits’ in with the rest of the house, another “living” space being an integral part of the home. 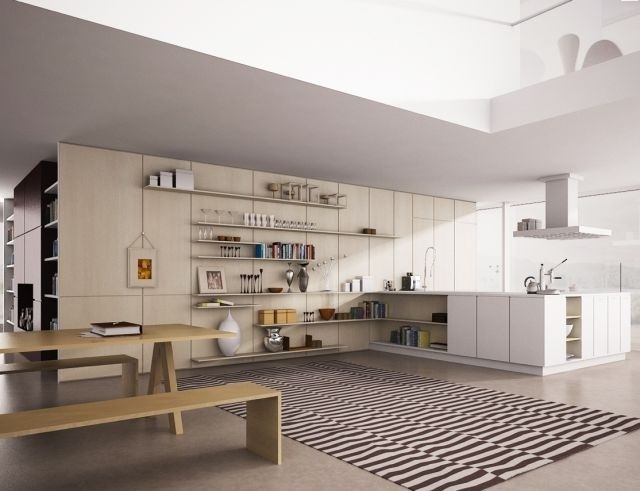 There’s no need to have units floor to ceiling on each every wall space, but to rather leave some “free” areas. 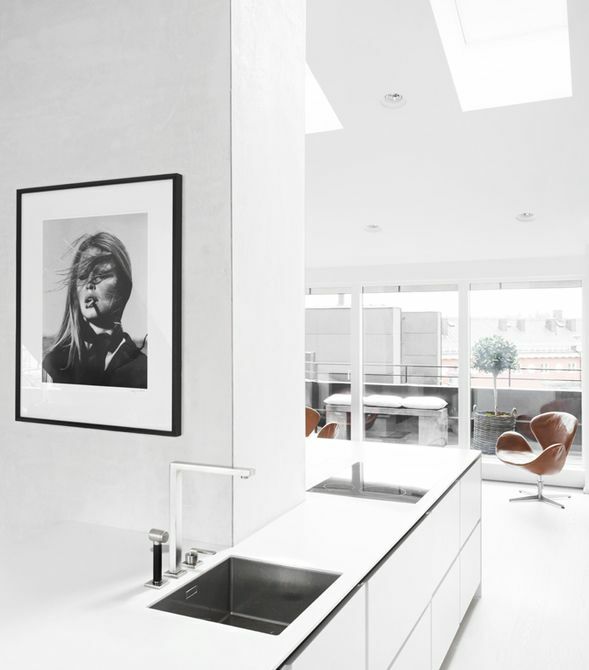 Have fun with these areas, by brightening up the wall space with either artwork or textured wall finishes. 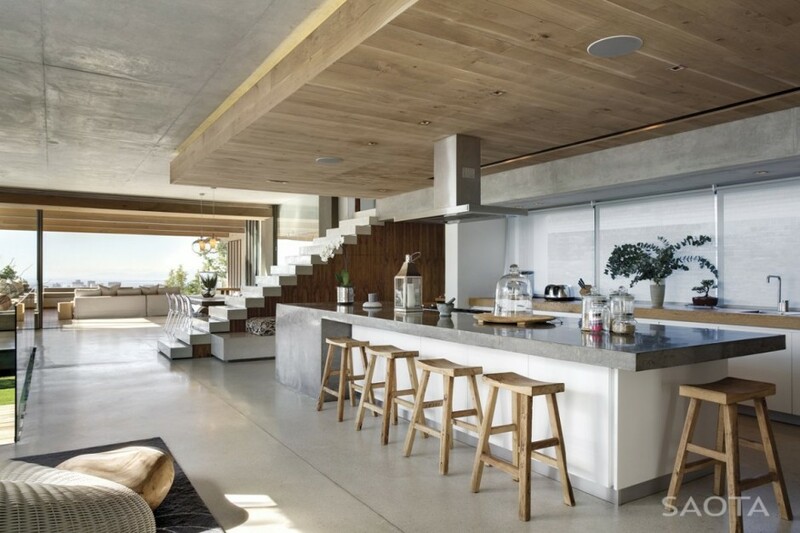 the kitchen is another living space in the home, style it as one! If you need some help translating these trends into your home, give us a call, we know a thing or 2 about kitchens and would love to help you! we just LOVE the chandelier! 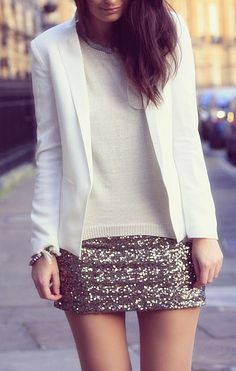 Metallics seem to be everywhere lately. (Which we love!) Fashionista’s are dripping in statement jewellery, sparkly sequined and embellished garments; and typically taking cue from fashion, these shiny hues are becoming more and more popular in interiors. 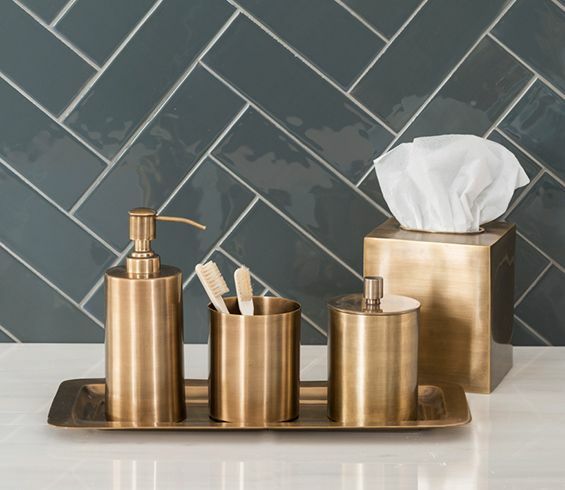 Metallics like stainless steel have stolen the show for a few years now, but the inclusion of the warmer tones like brass, gold and copper has made an appearance as well. Brass and Bronze were very popular back in the 70’s and very fashionable in interiors. (Carina’s parents used to display her dad’s old brass trumpet, combined with brass bell on a brass tray – OTT!!) They have made a major comeback and are most definitely the metals of the moment! There is a warmth that brass and bronze give an interior, whether it be a modern or traditional space. The golden hue of the metal provides a subtle, elegant gleam. 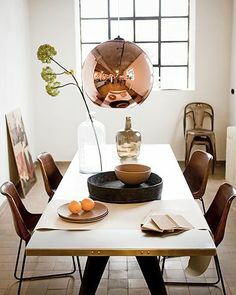 It’s having a comeback because it also mixes well with other metals ….. think chrome mirror, copper lights, gold accessories. 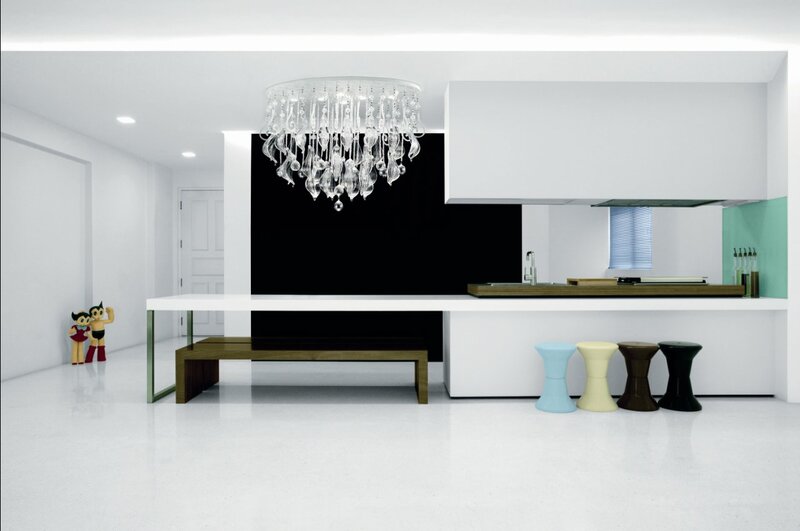 They work harmoniously together and make for a very striking space. 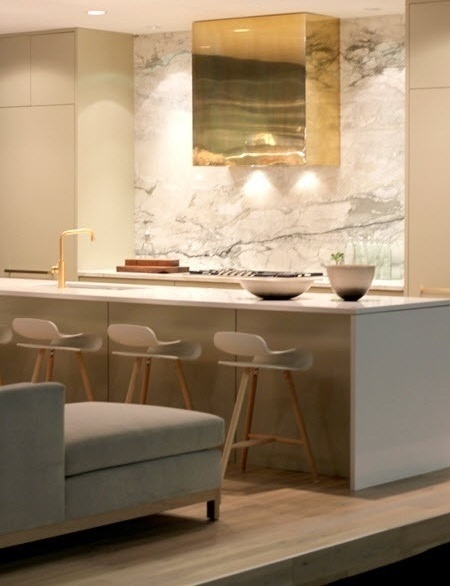 this image shows different metals working in the same space, creating a very layered and visual space with definite WOW factor! Every home needs some shimmering metallic thing in it for the simple reason that metallics enhance a room. Like Magpies we are drawn to shiny things, so when you put a beautiful gold mirror, or picture frame or vase in a room it lifts it immediately. Think of it like jewellery for your interior! You know how a ring or bracelet lifts an outfit…. 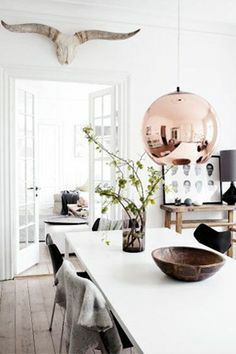 well metallic’s do exactly the same for a room. Hello Glam-factor!! 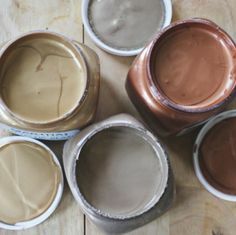 Although it’s not usually recommended to paint an entire wall in a metallic colour, you can use it on a neutral background that will really make the metal pop! 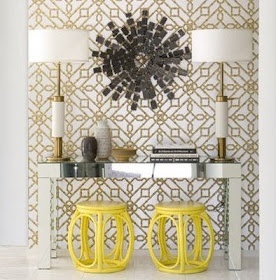 there are so many gorgeous wallpapers out there with gold and silver patterns and prints, it’s a very elegant and timeless way of bringing the metallic trend into your home. 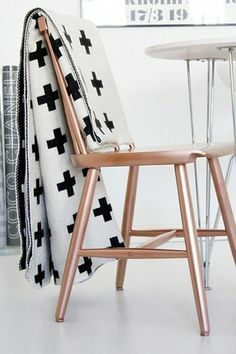 Metallic fabrics can be successfully used for a variety of pieces within a room, such as curtains, statement scatter cushions or even a duvet cover on your bed. 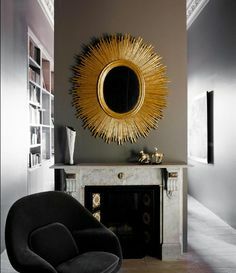 Golds look great if the room has charcoal or brown colour patterns, while silver works really well in rooms with white or cream colour patterns. Mixing up both gold and silver – along with a little copper – can create a spark of brightness and playfulness to a room. Another option is pairing metallics with natural fibres, this creates a glamorous look without feeling overdone. 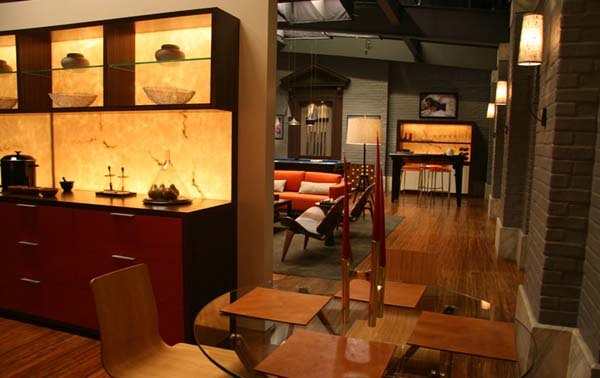 Having a piece of furniture in a gold, silver or copper metal can create some vibrancy in a room. However, it’s important to remember the rule that less really is more, especially when it comes to the use of metallics. 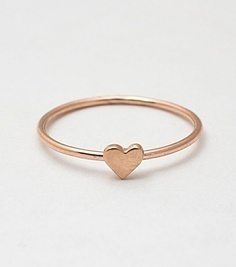 (Remember think ring or small bracelet!) 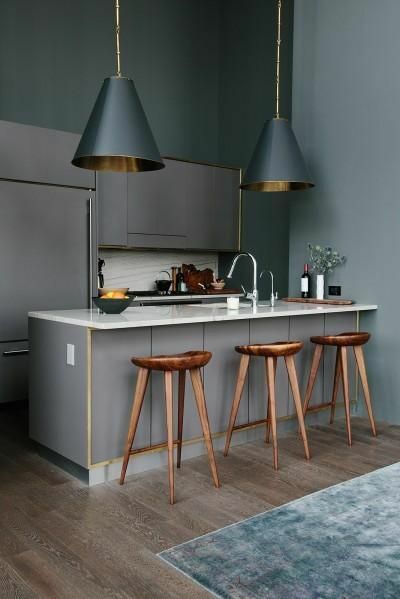 Rather than having metal accents on all your pieces, choose one piece or portions of a piece of furniture, such as the legs of table to highlight in the metallic hue. 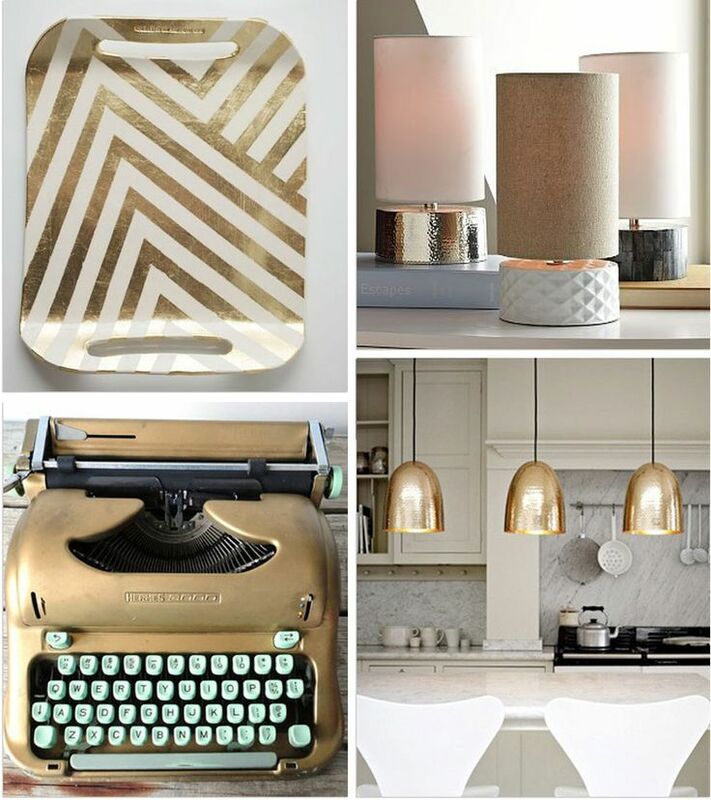 The easiest way to introduce metallics into your home is through accessorising. A vase here, mirror there! 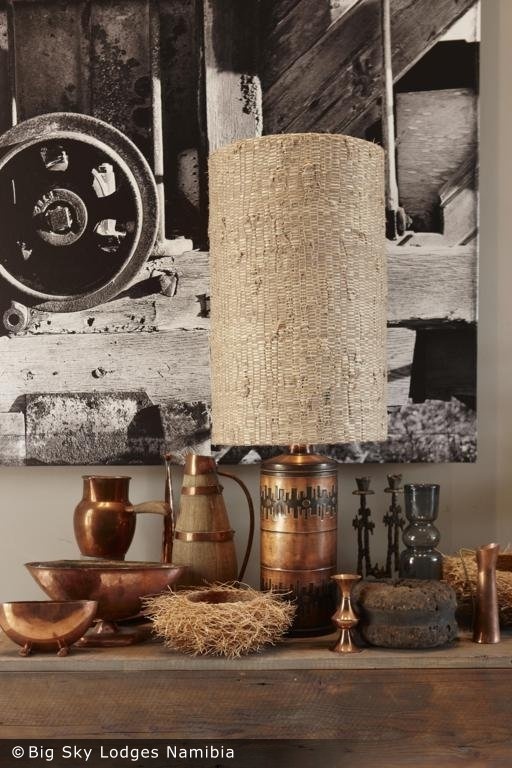 There are so many metallic light fittings available, whether pendant fittings or table lamps. 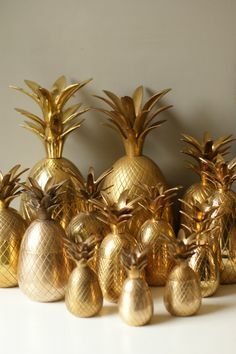 That is a sure way to make a statement and bring that beautiful metallic glow and sparkle-sparkle into your home! Happy November! Wow! How this year has flown! Since it’s the start of a brand spanking new month, we have a new customised StylEAST desktop wallpaper for you to download and enjoy!